1.Light up any fiesta or celebration with these 10 ounce margarita glasses. 3.Batteries: 3pcs AG-13, replaceable, included and installed. 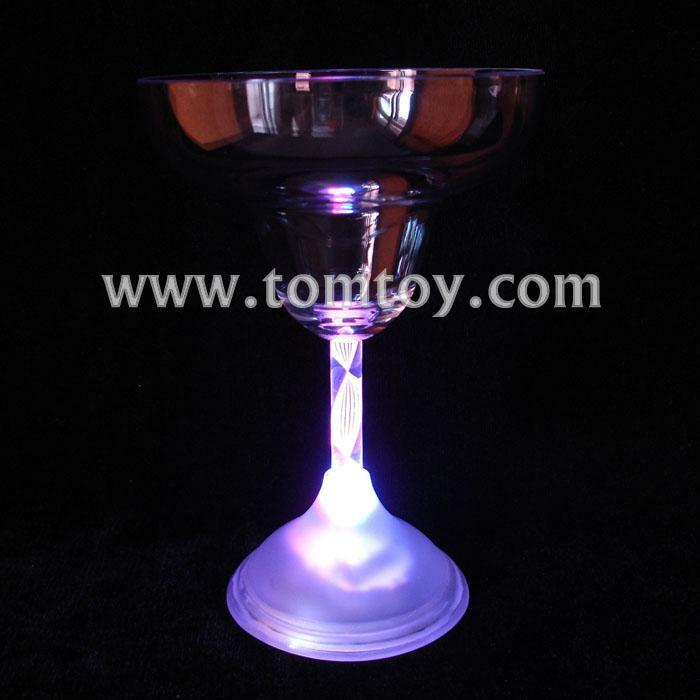 4.Each box contains one LED margarita glass.